I've always thought of those lines as a metaphor until I saw the incredible photography of Professor Gary Greenberg who has a PhD in biomedical research from University College London. Now, I'm not sure. Blake was a visionary who saw things others didn't ... maybe he was just reporting what he saw. Professor Greenberg has spent five years traveling and photographing grains of sand, even developing his own processes to get these spectacular photos of such tiny objects. You can see more photos and his books here. 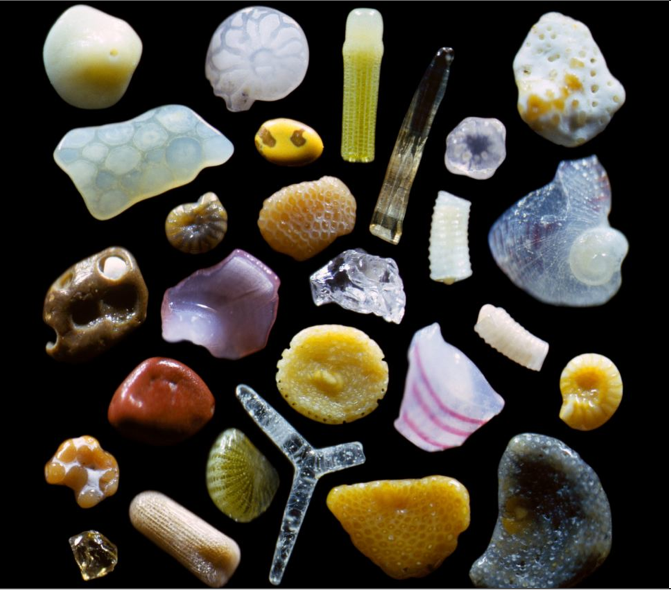 How I would love to spend an afternoon with Professor Greenberg's microscope and sand. Stunning. I'll have to mention this, with credit to you, in a Saturday Sharing. Too good to know about and not share with others. Thank you! You know you can always share any of my stuff with others ... I'm always honored when you do. Plus, that's the extreme beauty of the Internet as we all share, we all grow.